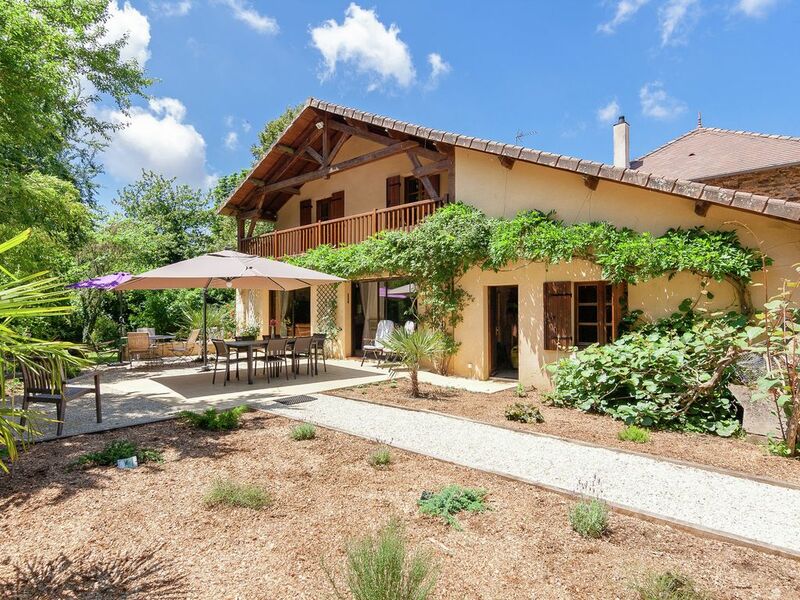 Spacious farmhouse with private heated pool in a rustic garden. This authentic farmhouse has been fully renovated and is a comfortable place to stay year round. The house is situated in the midst of nature, surrounded by a wonderful and gigantic garden. The vibrant village of Thiviers, where you will find everything you need for your daily shopping, is less than a five-minute drive away. And you don't have to go far to visit all sorts of sights, attractions and lovely towns. The house offers an especially roomy layout, has a large kitchen and two spacious living/dining rooms, so everyone can have their own space. The bedrooms are also spacious and equipped with good beds. There is a heated swimming pool in the large garden. There are 8 sun loungers round the pool and the garden contains several sitting areas. Een prachtig huis met alle voorzieningen. De eekhoorntjes liepen op het terras. Heerlijk rustig en naast de bosrand. Om een wandeling te maken kun je gelijk het graspad naast het huis pakken om een heerlijke wandeling te maken. Om daarna weer heerlijk een duik te nemen in het zwembad. Vriendelijke ontvangst. Het huis is zeer rustig gelegen en heeft een mooie ruime tuin met zwembad, petanquebaan en terras.